It's that time again! I'm so excited to share with you that our October Motives Makeover competition is now open for submission! 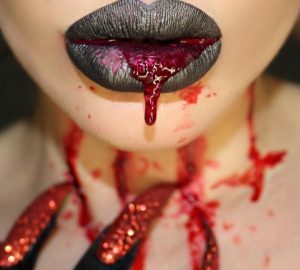 This month's theme is Vampy Vibes; think dark, sultry, and seductive with a touch of fierce. This will be our last Motives Makeover until 2019, so we're doing things a little differently. The top 3 entries will go to the public vote, shared across both mine and the Motives Cosmetics social media channels (3 million+ followers). The winner will receive a special branded winner logo along with $500 of Motives Cosmetics products. 1. Post your makeup look on your Instagram by midnight on October 19, 2018. Tag @motivescosmetics and @lorenridinger. Use the hashtags #MotivesMakeover AND #VampyVibes so that we can see your entry. Don’t forget to list which Motives products you use in your post and tag your model (if you use one) in the comments section. TIP: You can enter an older post you think fits the theme simply by editing your post description to include @lorenridinger @motivescosmetics #MotivesMakeover and #VampyVibes. 2. 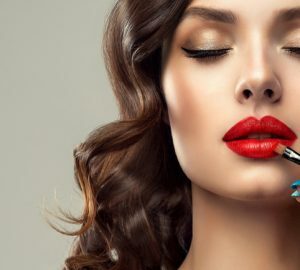 Our team will select our favorite top 3 makeup looks on October 20, 2018. The Top 3 will go to the public vote by October 21, 2018, to October 31, 2018.